Xbox One June system update has begun to roll out starting today. The new update features many asked for features, including external storage support, real names for friends, auto sign in, and for non-Xbox Live Gold members, you can start accessing all apps. The month of June will usher in exciting changes for Xbox One and Xbox 360 owners. 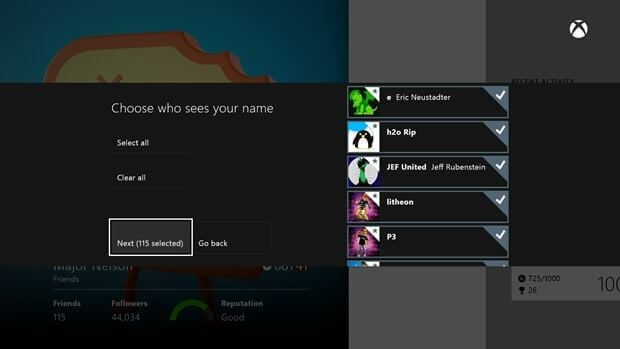 The Xbox team has been hard at work on delivering the new capabilities we recently announced for fans, including highly anticipated Xbox One features like external storage, the ability to use your real name on Xbox Live, and improved SmartGlass integration. Both the Xbox One and Xbox 360 system updates will begin rolling out globally this week, giving fans more ways than ever to enjoy the best in gaming and entertainment with Xbox. As Phil Spencer announced last month, with this update our catalogue of more than 180 apps and experiences (including fan favorites like Twitch, HBO GO, and Hulu Plus) across Xbox One and Xbox 360 will be available to everyone on Xbox. Full update notes are available on Xbox Wire here.